I recently had the pleasure of receiving a T-Rex Carto Deluxe kit from e-Vape, a new supporting supplier of Vaping Guides. I have actually been interested in the T-Rex for quite some time, simply due to its lit-ring design. Egos and Rivas are my daily vape, but there’s nothing wrong with a little variety within that battery design, right? Unless there is an overwhelming desire for the look of a real cigarette, the fat-batt style of electronic cigarette is usually my first recommendation for a new vaper. At only $27.23, the T-Rex Carto Deluxe kit from e-Vape is a great recommendation for a first electronic cigarette kit. Rather than a typical box, the Carto Deluxe kit comes with the components, a manual and a USB charger all zipped up in a handy carry case. 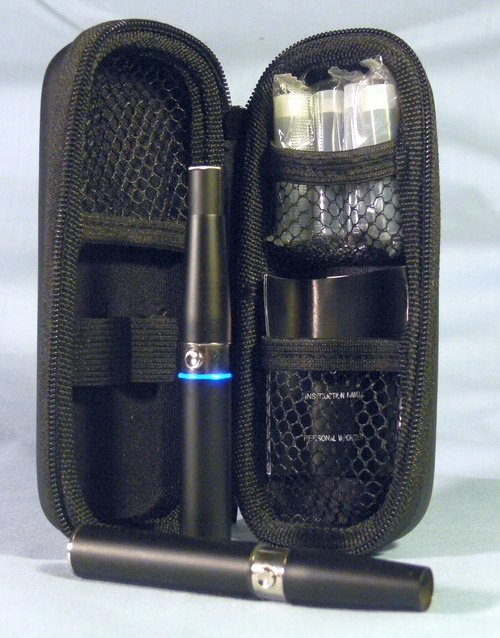 The hard shell case has netted compartments for cartomizers, juice, charger etc, and two elastic bands that secure complete T-Rex electronic cigarette units. Inside the case there are two T-Rex batteries complete with two matching cones. The T-Rex batteries are 510 compatible, so they work with a wide range of atomizers and cartomizers. The outside threads of the battery are the same as the typical eGo/Riva, so an even wider range of mega eGo atomizers and cartomizers can be used with the T-Rex batteries. Unlike the lit button of the eGo, the T-Rex has a bright blue LED ring just below the switch that lights up when in use. It completes a nice looking electronic cigarette. Instead of atomizers, five blank Boge 2.0ohm cartomizers are included with the Deluxe Carto kit. The Boge 2.0 is one of the most preferred cartomizers for use with the fat-batt style of electronic cigarette battery. 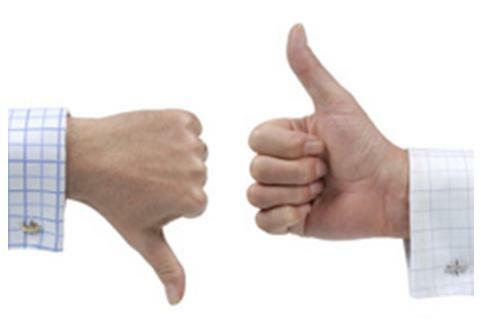 For the new user, cartomizers are one of the simplest and most trouble-free options. They are easy to fill using a number of methods discussed in Cartomizer Filling for Electronic Cigarettes and are convenient to use. It’s nice to see an electronic cigarette kit come with cartomizers included. The only thing missing from this kit is e-juice to fill them with. In fact, e-Vape does not sell e-juice at this time. There are lots of good juice suppliers out there to order from, but we hope to see e-Vape carry juice soon to make the site a single stop for the new vaper. The T-Rex performs well with the Boge 2.0 cartomizers, supplying nice flavor and a good throat hit. Unloaded battery voltage is right around 3.5 volts and loaded with the Boge 2.0 records 3.2v. While not quite as high as the 3.7v of the Riva, the T-Rex voltage is pretty much in the range we’ve come to expect from this type of electronic cigarette battery. At 650mAh, these batteries also provide a nice amount of time between charges. While not quite as long lasting as the larger 900 and 1100mAh varieties, these batteries still last a long time compared to mini electronic cigarettes. Two batteries are enough to get the average vaper through the day and then some. Everything fits together well and I have seen no issues with performance over several days of use. The T-Rex Carto Deluxe Kit from e-Vape is possibly the least expensive fat-batt electronic cigarette kit available from a domestic supplier. And proving that inexpensive doesn’t have to mean cheap, the kit adds value with by including two complete units, Boge cartomizers and a case to carry it all in. e-Vape also has some fantastic deals on other electronic cigarette kits as well. e-vape no longer carries this item. Can you suggest a better place to buy it? I see that e-Vape does carry (and has in stock) the Steel T-Rex – 900mAh Starter Kit for $45. You might also want to check out the $30-$36 750 mAh Riva-510 kits and $40 650 mAh Joye eGo kits sold by Liberty-Flights. At VaperCon last week, I picked up a 1100 mAh Riva kit sold by NHaler. Their website price is a rather high $70, although I got it for less at VaperCon. Vapor Junction sells the 1100 Riva-510 (without carrying case and only in black) for $50. Goodness! I may have to change the PV that I recommend for cost-effectiveness. For a long time, it has been the $30 Riva-510 from Liberty-Flights. But this $27 kit, which includes that carrying case and five top-of-the-line cartomizers (rather than two attys that I would never use) is impressive! Thanks for bringing it to our attention, partner!